Pretty slow day today – I guess everyone’s waiting for the FOMC announcement tomorrow which will probably make tomorrow’s open sleepy as well. As I mentioned on Twitter today, no trades materialized in my watchlist today. 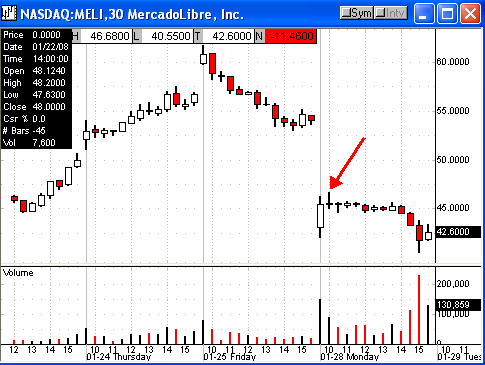 Here’s what was on my screens: Long MATR, ACOR and Short: YRCW, MELI. 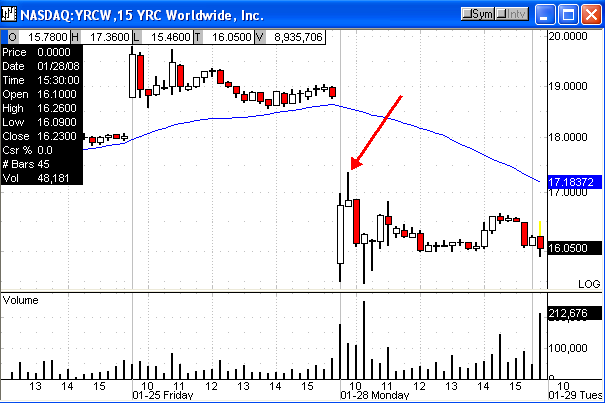 I almost traded MELI off the 30 minute chart and YRCW looked ok off the 15 minute chart. I passed on both – looks like they both would have worked for a small gain.